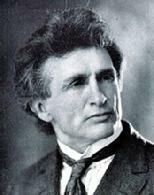 Bernarr Macfadden was the most influential American proponent of Physical Culture in the 1st half of the 20th Century. He founded Macfadden Publications and wrote over 150 books. Macfadden founded Physical Culture magazine in 1899, and was editor up to the August 1912 issue. Aided by long-time Supervising Editor Fulton Oursler, Macfadden eventually grew a publishing empire, including Liberty, True Detective, True Story, True Romances, Dream World, Ghost Stories, the once-familiar movie magazine Photoplay and the tabloid newspaper, The New York Graphic. Macfadden established many "healthatoriums" in the eastern and Midwestern states. These institutions offered educational programs such as "The Physical Culture Training School.” His Macfadden Foundation established two boarding schools for young boys and girls in Westchester County, New York, the Macfadden School in Briarcliff Manor (Scarborough) and the school in Tarrytown. At the peak of his career, Macfadden owned several hotels and a major building in Dansville, New York. He also opened a restaurant in New York City in 1902 called Physical Culture, which was one of the city's first vegetarian venues. Physical Culture vegetarian restaurants were established in other cities such as Philadelphia and Chicago. By 1911, there were twenty such restaurants.